All kids who visit us will participate in cross country cross. A Cross-Country Cross course is a short track course featuring many technical aspects including jumps, rollers, waves and slalom gates. The idea is to create a fun, lightly competitive environment for kids to develop their skills. Our course will start with a stretch of flat land slalom gates into a figure eight to some limbo gates into a waves section. Then it will go on to some hill climbing with direction changes to some downhill slalom gates. There will of course be some surprises and variations to this idea. 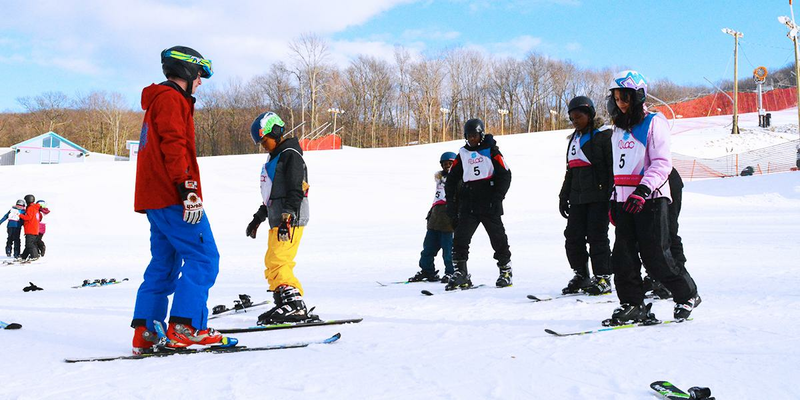 These courses are built for all levels of skiers who can participate on the same course all at the same time. There is no limit to the fun that can be had at cross country cross.